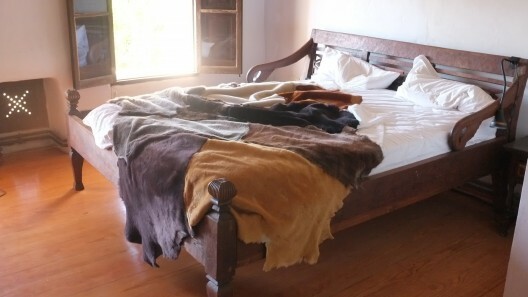 Patchwork sheepskin throw. Available to order. £900 per sq m.